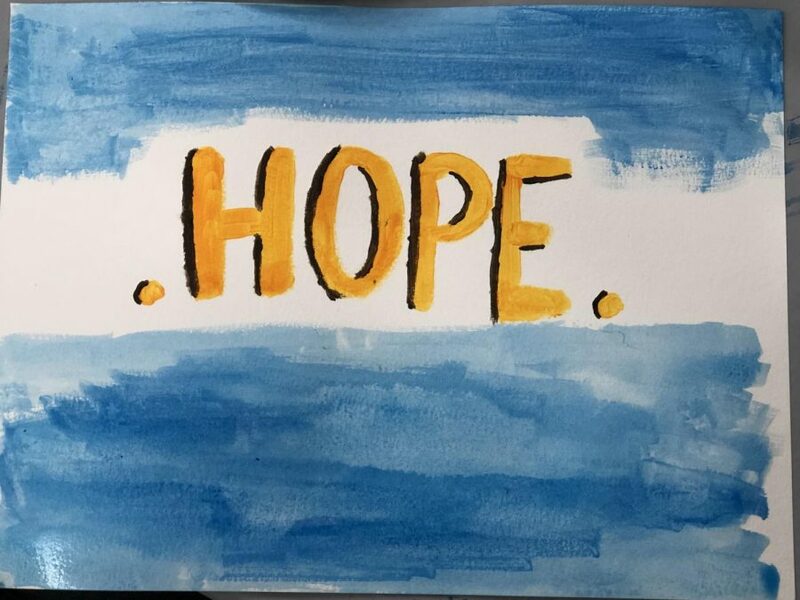 Students painted whatever came to mind when reading a bible verse. 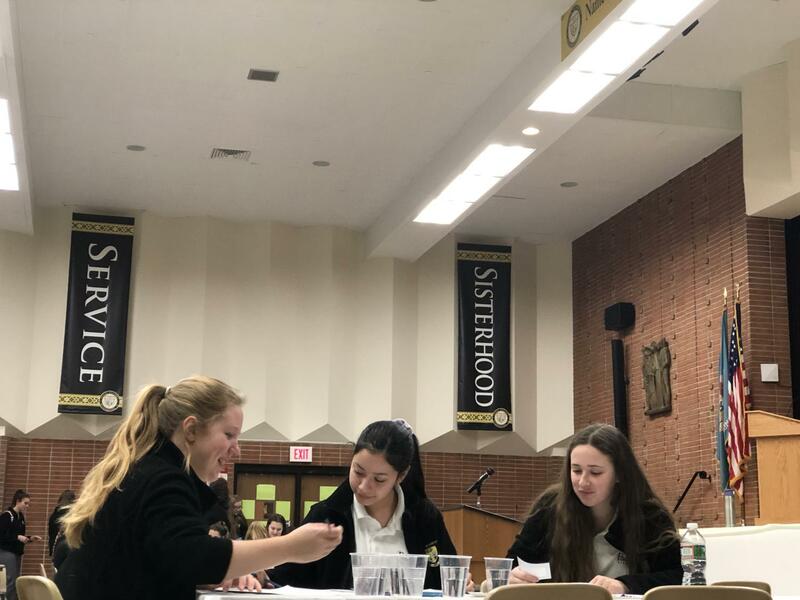 Dealing with stress, midterms, and the adjustment to Padua, freshmen have had a long first half of the year. On Wednesday, Jan. 9, 2019, the class of 2022 had their second “Freshmen Pause Point” at flex in the cafe, planned by Mrs. Alinda and Ms. Keefe. Freshman Cassidy Becker, however, would have rather had flex to herself so she could work on her assignments. “I liked spending time with my friends and I enjoyed that aspect of it,” said Becker, “but I didn’t really enjoy painting because it’s just something I’m just not that good at.” Becker also thought the Christian music playing in the background became a bit repetitive and would have enjoyed something more upbeat. She also felt as if the activity could have been a little bit shorter. Freshman Jenna Haughton enjoyed the pause point as well, saying, “It was so much fun and I got to do whatever I wanted with the paint.” Haughton especially enjoyed finger painting and dipping her hands in the many colors. However, she thought the Christian music was a bit much and could have been decreased in volume or mixed with other music as well. Freshmen spent time with their friends and were given a chance to relax during this pause point. She also found that she felt as if it could have been a bit more instructive. “They kind of just left us to paint and I had no idea what I was doing,” she said. 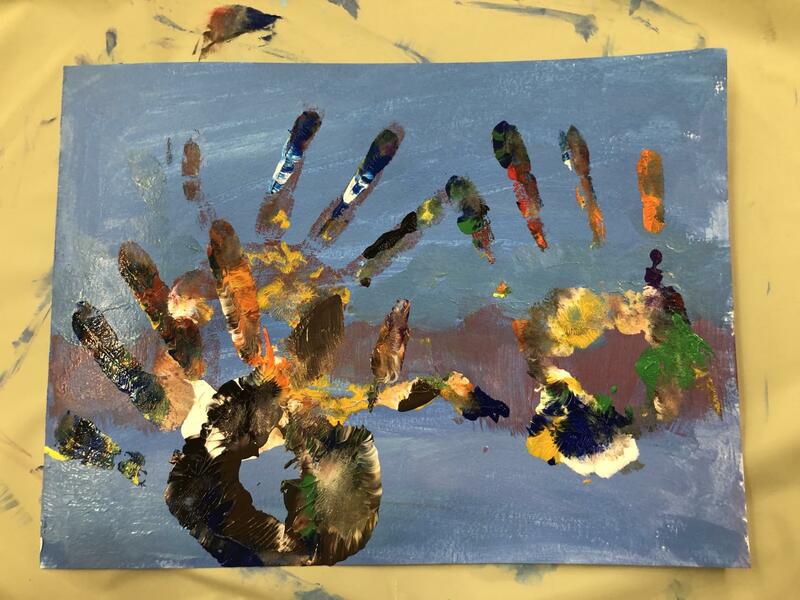 Jenna Haughton enjoyed the not so traditional painting by using her hands.